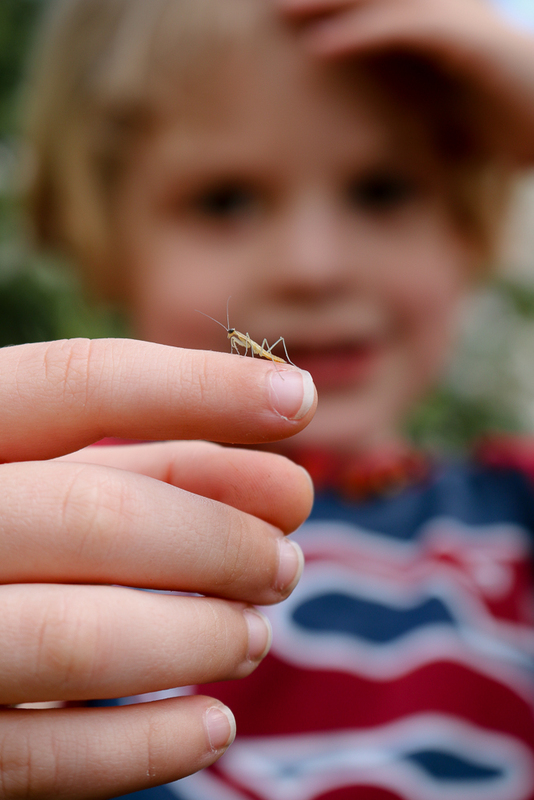 When you homeschool, nature is your classroom. Each time something breeds, or hatches, or blooms in your yard, you can use it as a object lesson for your kids and believe it or not, they learn a TON just from your small, sweet space! A few weeks ago, I bought a set of praying mantis egg casings from a local garden store. We have hatched them before but I never cease to be amazed at how these incredible creatures grow! I usually get hatching creatures every time I have a preschooler/kindergartner. 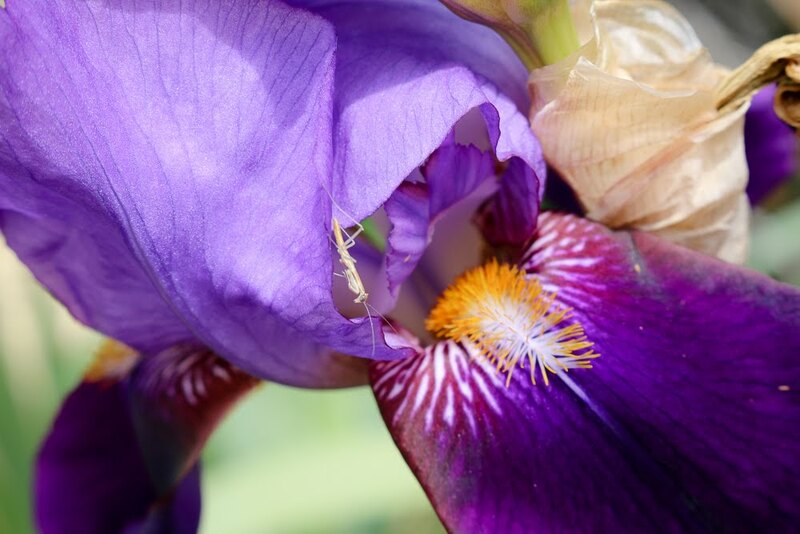 We have grown lacewings, ladybugs, ants, mantis, frogs, and several more I can not remember and each time I learn SO much! 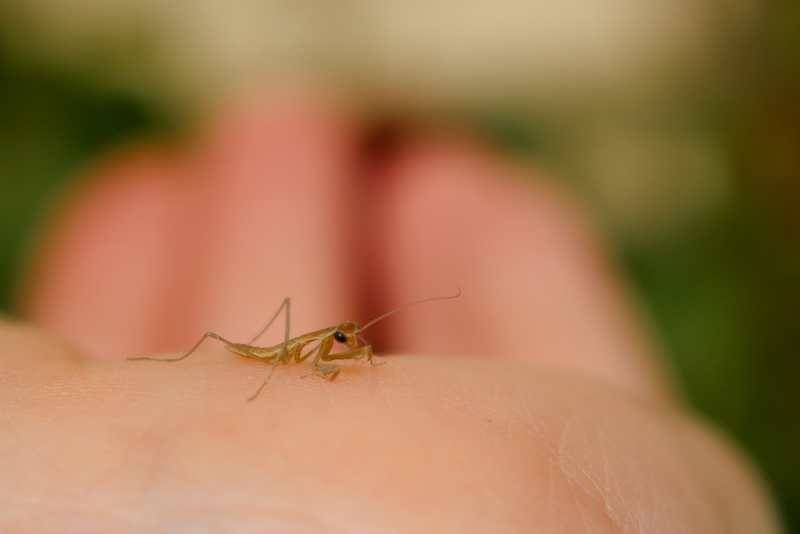 The first time we studied mantis, Luke was just a baby (now 5). We did the lesson with the understanding that the lesson may be done long before the mantis hatched because it said on the package '2-4 weeks'. We hung them carefully in our classroom sized butterfly house and waited. Logan sprayed them with water each morning as instructed and we carefully watched and waited some more. We finished the lesson and did a lapbook on mantis and waited some more. Finally we moved on to stick bugs and the mantis eggs started to get neglected. As most things in nature, when left on their own they decide to finally do their thing. One morning, 9 weeks later, we were doing school work when Logan screeches from the office that the mantis have hatched! We quickly went and bought food for them from the pet store (they eat similar things to very small lizards so most pet stores will have mantis food) and came home to watch them eat. It was boring at first, but when they started hunting it was amazing to watch! Tiny babies, doing the things that we had seen before only on the nature channel. When we woke up the next morning, however, 90% of them were dead on the bottom of the habitat and we realized that they were also eating each other! YIKES! We quickly put them outside. What a lesson! 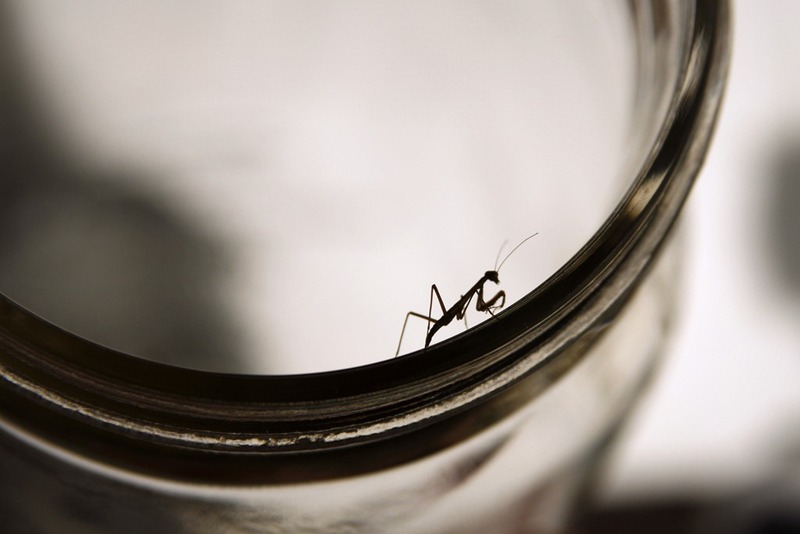 This time around, we were far more lax about the way we handled these cool little creatures.... We lost them. Yes. I lost a set of praying mantis egg cases in my house for 3 weeks. I was just waiting to start seeing mantis babies all over my house, because each egg case holds up to 250 babies! Just the thought gave me the creepy-crawlies! About a week ago we found the tupperware with the egg cases tucked nicely into an office bookshelf that made oh-so-much sense to me to put them there. Thank goodness, they were still intact! Then we started our study. Knowing that they probably wouldn't hatch for weeks, I took my time. One day we drew them, the next day we looked up videos, another day I searched for the Wild Kratts episode (89) that they share facts on the mantis. All this time, the tupperware with the little egg cases in it was sitting on my dining room table. I still had the coloring pages on the table when I noticed crawling things in the mantis container.... 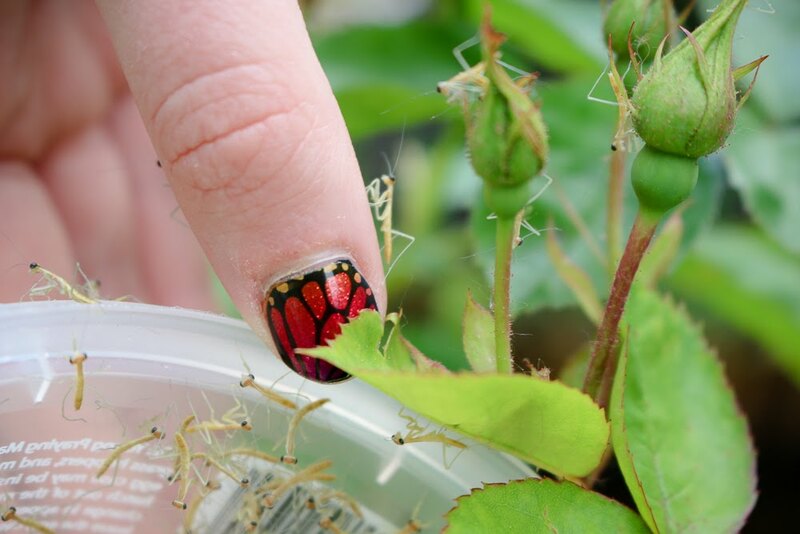 I must have noticed just hours after it happened because we released hundreds of live mantis babies into our rose garden that day! This study, although more lax, was much more successful than the last time we had these creatures to observe. 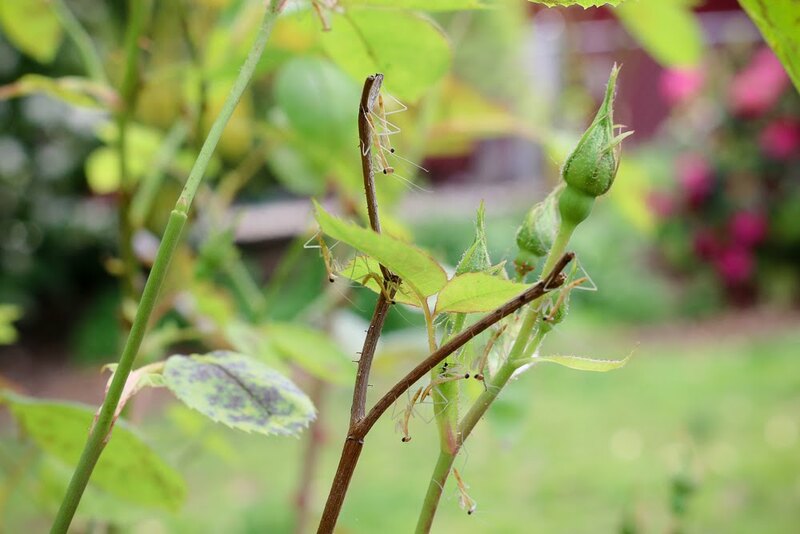 This morning I went out and quite a few are still around, hunting aphids on my roses and hanging out close, but not too close, to their hatchmates. They have started to get darker exoskeletons and have gotten a little bit bigger already. I feel like, although we didn't do as much book work, we still were able to learn a whole lot from these critters. Nature is the best teacher!